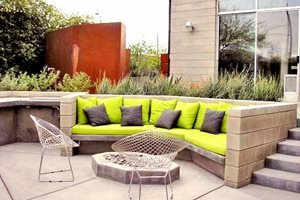 Modern is not usually a word that comes to mind when you think of patio covers. I'm more apt to think of words like rustic, wooden, or traditional. 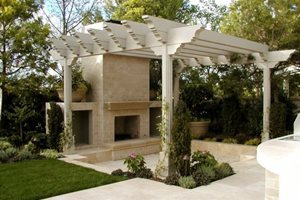 However, there are a lot of great design ideas out there if you are looking to install a modern patio cover in your backyard. 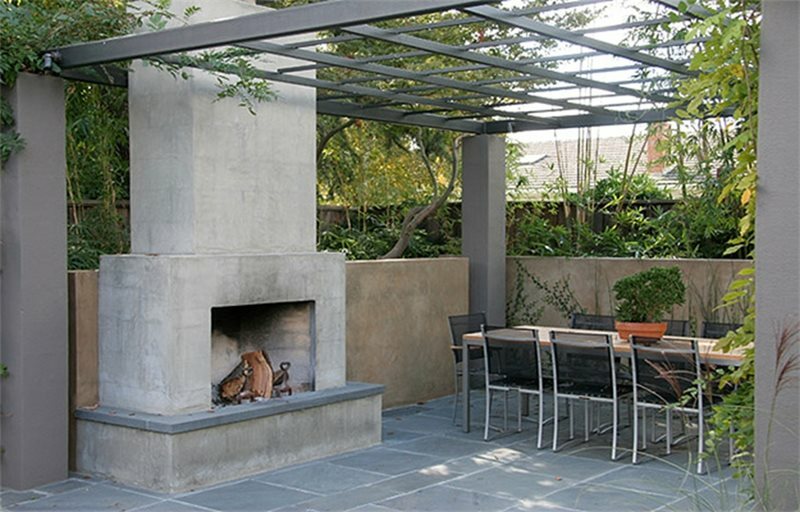 This modern outdoor dining room, complete with a wood-burning fireplace, is covered by a custom designed patio cover. An open metal grid structure, which will eventually be covered with climbing plants, is supported by hefty concrete pillars. The geometric lines and dark colors give it a decidedly modern feel. 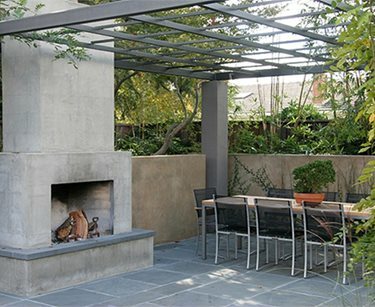 See Joseph Huettl explain how he designed a similar metal & wood patio cover for a modern backyard. 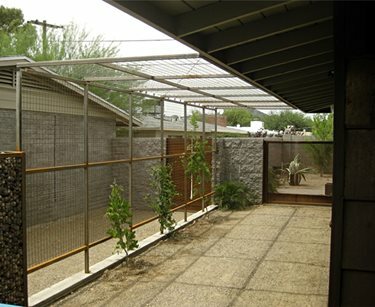 This metal shade structure with wire screening has an industrial look. The geometric pattern and clean lines are especially modern. I can't wait to see how this patio cover looks with plants climbing up and over it. 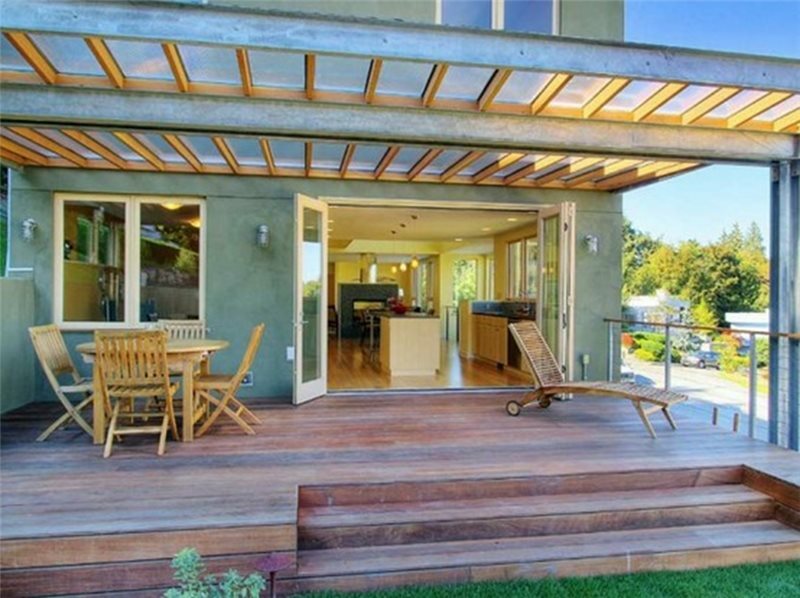 This metal patio cover is sleek and geometric. Every angle is kept at ninety degrees for a very rectilinear appearance. 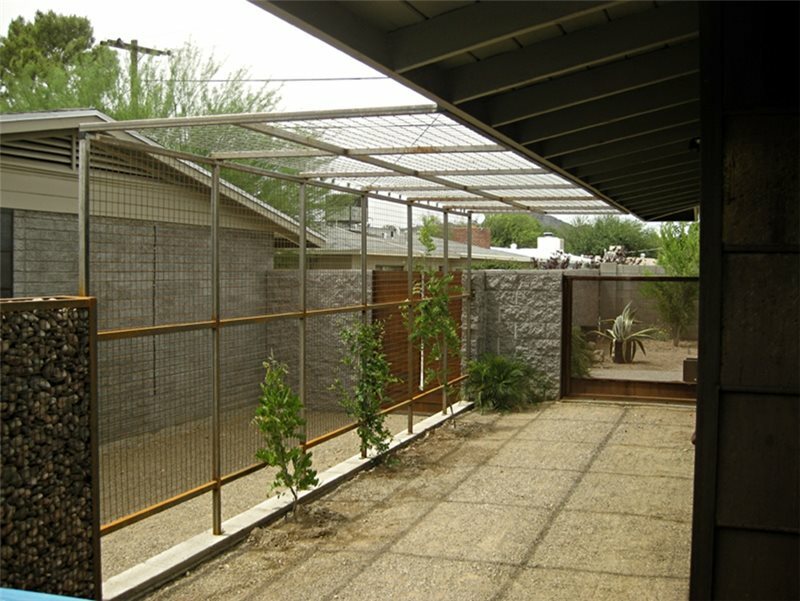 The roof is louvered so that the amount of shade can be adjusted on-demand. The metal contrasts nicely with the wood decking and concrete wall. 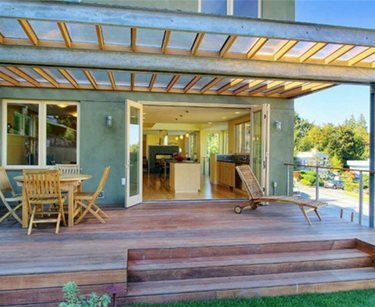 Designed to provide protection from the rainy Seattle weather, this attached patio cover is made of metal, wood and a clear polycarbonate material used for greenhouse roofs. The metal structure appears to be steel construction beams, giving the patio cover an industrial appearance.